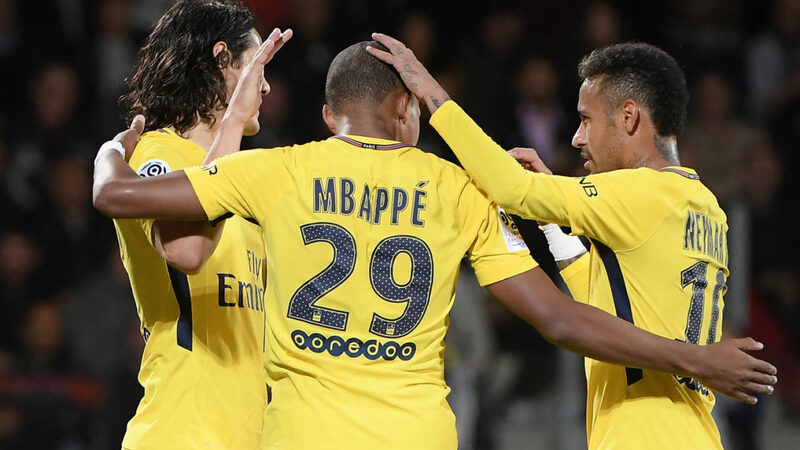 Paris Saint-Germain and their fearsome attacking trio of Neymar, Kylian Mbappe and Edinson Cavani host Lyon on Sunday looking to make it six successive wins to kick off the Ligue 1 season. 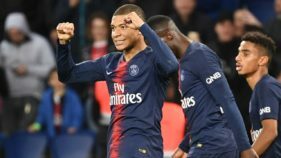 The expensively-assembled frontline, dubbed ‘MCN’, starred in PSG’s 5-0 humbling of Celtic in the Champions League on Tuesday, in a match where they were irresistible for long periods. 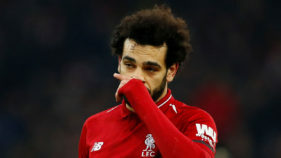 The capital club’s long-held ambition has been to lift the European Cup, but now their attentions turn back to domestic matters, as they look to increase an early three-point lead over defending champions Monaco at the top of the table. The 18-year-old Mbappe, who will become the world’s second-most expensive player ever at the end of his season-long loan from Monaco, scored on his debut last week in a 5-1 thrashing of Metz, with Cavani and Neymar also on the scoresheet. The trio all netted in the first 40 minutes of the midweek game in Glasgow, meaning they have scored eight goals between them in the two matches they have played together. “I’m very happy, it was a very good match, it was very important to win and playing with great players is always a pleasure,” said Neymar after his PSG Champions League debut. Sunday’s match on paper is PSG’s biggest test of the league season so far, with an unbeaten Lyon going to Paris off the back of a 1-1 Europa League draw with Apollon Limassol in Cyprus. But Unai Emery’s side are on a 35-match unbeaten streak at home in all competitions, having not lost at the Parc des Princes since a 2-0 defeat by Monaco in March 2016. Worryingly for their Ligue 1 and European rivals, the Spanish coach believes that his team will only get better after the thrashing of Celtic. “They have only played a few games together,” Emery said. “But the key is that the team is going to improve more and more. Reigning champions Monaco suffered a 4-0 humbling at Nice last time out, before putting in a vastly-improved display during a 1-1 midweek Champions League draw at RB Leipzig. The thumping by their Cote d’Azur rivals ended a Ligue 1 record of 16 consecutive wins for Leonardo Jardim’s men, although they did lose 4-0 at Nice last September before going on to win the title. 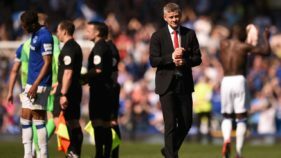 The principality outfit will be fully expecting to get back to winning ways when they welcome newly-promoted Strasbourg to the Stade Louis II on Saturday, despite having goalkeeper Danijel Subasic and winger Thomas Lemar ruled out through injury. Bordeaux, one of four unbeaten teams in the French top flight after the first five games, kick off the weekend action at Toulouse on Friday. Marcelo Bielsa’s Lille travel to Guingamp looking to end a winless streak of four matches that has put an expected revival under the enigmatic Argentinian coach on hold. Nantes have fared better under their new coach Claudio Ranieri, with the Italian’s men hosting Caen having not conceded a goal in three matches that have produced two wins and a draw.